When Paddington was first announced, many were sceptical that Michael Bond’s peruvian bear could make a successful transfer to the big screen. 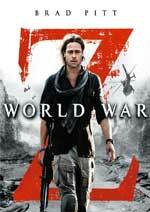 However, the resulting movie grossed almsot $270 million around the world and is now getting a sequel. Doctor Who has had many companions over the years, but now, for the first time, he’s getting one that’s openly gay. Pearl Mackie, who’s playing new companion Billie Potts, will reveal her sexuality in the first couple of lines she speaks when the show returns to British TV for its tenth season (since its revival). “It shouldn’t be a big deal in the 21st Century. It’s about time isn’t it?” says Mackie (via the BBC). Since the show returned to TV in 2005, there have been several gay and bisexual characters, such as Captain Jack (John Barrowman), River Song (Alex Kingston), as well as Madame Vastra (Neve McIntosh) and her wife Jenny Flint (Catrin Stewart). However, while these characters have appeared in numerous episodes, they haven’t travelled with the Doctor full time. The series returns on April 15th, and promises to be the last featuring Peter Capaldi in the title role. Last summer there was surprise when after Colin Firth had been due to voice Paddington in the live-action/CGI movie about famous bear, he stepped out and Ben Whishaw came in. It means that while we’ve had trailer and teasers, were haven’t heard from Paddington himself – until now, that is. You can take a look at the new trailer below, complete with added Whishaw, alongside Hugh Bonneville, Sally Hawkins, Julie Walters, Peter Capaldi, Jim Broadbent and Nicole Kidman. Here’s the synopsis: ‘From the producer of Harry Potter and Gravity, Paddington comes to the big screen for the first time in an epic new adventure. Featuring an all-star cast and effects courtesy of award-winning VFX company Framestore, PADDINGTON is THE big family film of Christmas. ‘Voted Best Animated Character at the 2012 British Animation Awards, and adapted from Michael Bond’s beloved books, Paddington follows the comic misadventures of a polite young bear with an endearing talent for comic chaos. ‘Paddington has grown up deep in the Peruvian jungle with his Aunt Lucy who, inspired by a chance encounter with an English explorer, has raised her nephew to dream of an exciting life in London. When an earthquake destroys their home, Aunt Lucy decides to smuggle her young nephew on board a boat bound for England, in search of a better life. Arriving alone at Paddington Station, Paddington soon finds that city life is not all he had imagined – until he meets the kindly Brown family, who find him with a label tied around his neck which reads ‘Please look after this bear. Thank you.’ They offer him a temporary home whilst he searches for the explorer who impressed Aunt Lucy all those years before. Harry Potter producer has just come off a seven-Oscar win for his film, Gravity. I’m not sure his next movie will be able to beat that, but it’s certainly going to be cute. Now the first teaser trailer for Paddington, the live action-CG mix based around the famed children’s character from Deepest Darkest Peru. Here’s the synopsis: ‘From the producer of Harry Potter and Gravity, Paddington comes to the big screen for the first time in an epic new adventure. Starring Hugh Bonneville, Sally Hawkins, Julie Walters, Peter Capaldi, Nicole Kidman and Colin Firth as the voice of Paddington. ‘Adapted from Michael Bond’s beloved books, Paddington follows the comic misadventures of a polite young bear with an endearing talent for comic chaos. 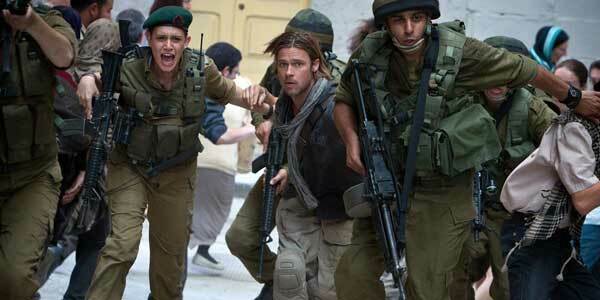 After a troubled production history, many thought World War Z would be the flop of the summer. However it became a pretty decent hit, grossing over $540 million around the world. That’s pretty impressive for a film that had to have its entire final act scrapped and a brand new one shot to replace it.